Humanity in biblical times once dreamed to reach the sky, where God lives, and the Babel Tower was the first attempt. 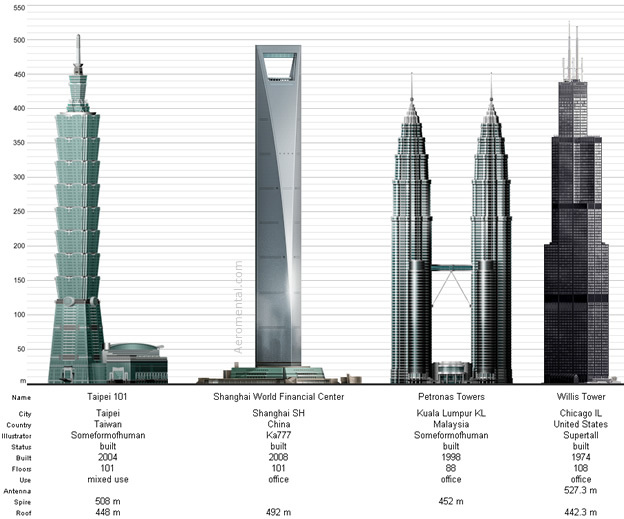 Nowadays, we have various really tall constructions for the forthcoming years. These are real projects some are ready to be built and others are waiting some approvals and paperwork. 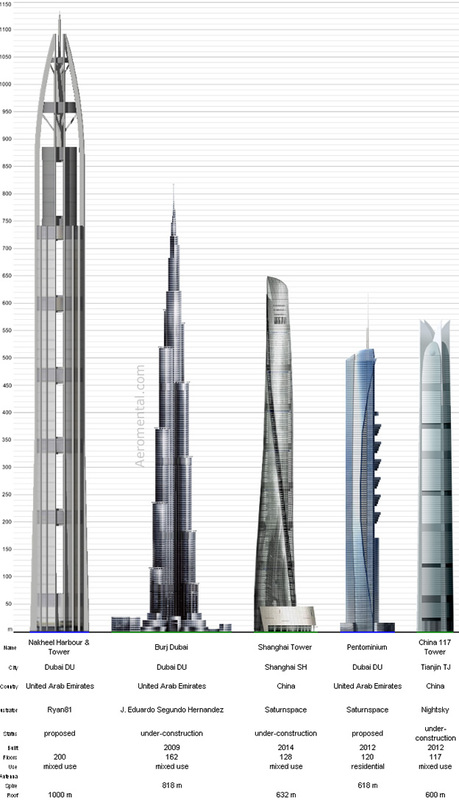 Dubai is the main place for these huge buildings. Nakheel Harbour & Tower / Dubai DU / United Arab Emirates / Status: On-hold / 200 floors / 1,000 meters. Architect: Woods Bagot, Pei Partnership Architects. Architect: Skidmore, Owings & Merrill LLP. Architect: Thompson, Ventulett, Stainback and Associates Architects. 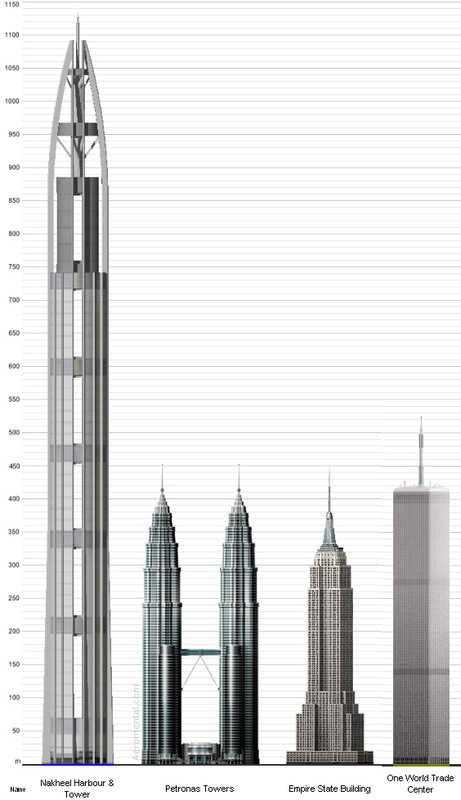 How tall was the WTC? 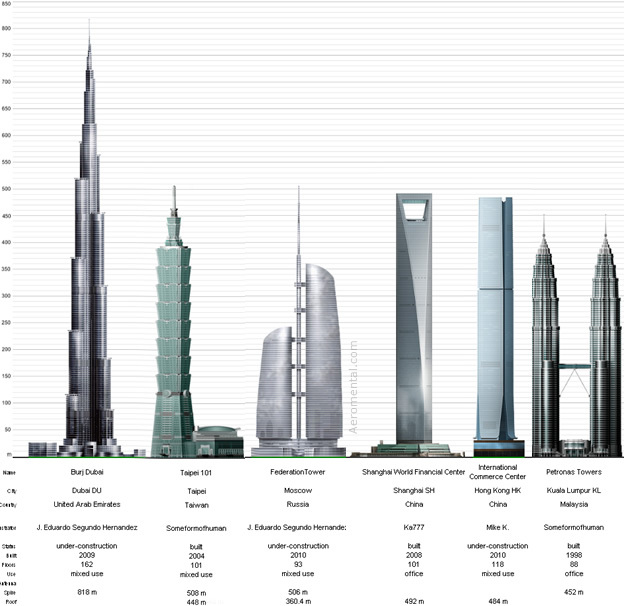 Day by day civil engineering develop their own technology,,..
i hope al burj and nakheel tower will proposed!!!!!!!!!!!!!!!!!!! !